Might and Magic VII is an open-world CRPG with the option to switch between real-time and turn-based combat. The character customization has 4 races and 9 classes to start from. The classes have 1 default promotion followed by a good or evil promotion for a 36 classes in-game overall with 18 end-game classes. "To experience great adventures, you’ll have to take a step back in time.Might and Magic VII - For Blood and Honor brings back the fantasy role-playing genre with an enhanced game engine and thrilling gameplay. It brings to life a fantasy world replete with fearsome dragons, horrifying monsters and exotic races. This game has everything the experienced role-player desires, including new character classes, skills, spells, magic items and a compelling story that will keep you absorbed for hours on end. Might and Magic VII - For Blood and Honor brings to life the most fantastic, engrossing and intense role-playing experience ever created. - Arguably the best installment of the Might and Magic series. - Over a hundred hours of great adventure in the Might and Magic universe. - A great soundtrack, an epic story, memorable locations and an addictive card game: Arcomage!" 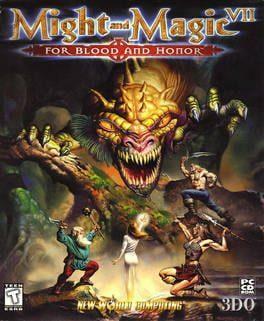 Might and Magic VII: For Blood and Honor is available from 3.99 to 3.99 from 1 shops.